CGA is working to help neighbors connect more with each other at the quadrant, block and street level. There are a number of ways that neighbors can get to know each other to build relationships that enhance neighborliness. 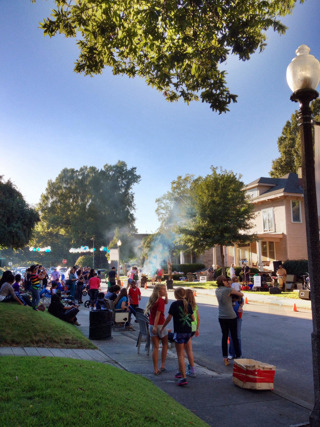 Start a tradition in your neighborhood by planning a block party. 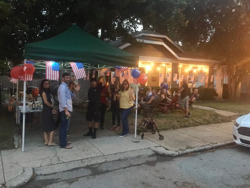 Neighborhood block parties are a fun way to meet neighbors, build friendships, and develop a sense of belonging and security among residents. The idea of a neighborhood block party is to bring neighbors together. It’s a good idea to find 1 or 2 neighbors to help you with the event and form a Host Committee. Ask for volunteers to head up various tasks, like coordinating food, permits, activities, cleanup, etc. AN EASY HOW-TO GUIDE or Download AN EASY HOW-TO GUIDE in pdf format. 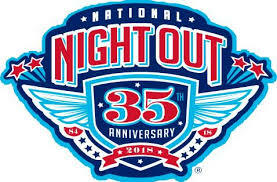 To plan a National Night Out party you first need to register your Neighborhood Watch group with the Crump Station. Don't have Neighborhood Watch on your block? Contact Crump Station for guidance. This is another great way to meet your neighbors. 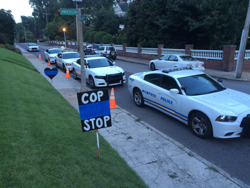 Cop-Stop is a community outreach towards law enforcement officers in order to build relationships between both residents and the officers who serve in their community. We do this by inviting officers to enjoy a family-style, home-cooked meal in our homes. See this "how to" guide to have your own Cop-Stop party or contact Virginia Roberts at varoberts22@gmail.com.